What do you think of when you hear the term southern cuisine? Does a stick of butter or bacon fat come to mind? Wait, hold the bone! Southern cuisine in our neck of the woods means green, leafy and all natural. The northernmost big city in our country’s southernmost state is an epicenter for fresh produce. While this may not be a secret to local fresh fruit and vegetable connoisseurs, all food consumers may appreciate learning more about the abundance of freshness in our neck of the woods – and where to find it! While going to your local grocer may be a convenient place to shop ingredients, several year-round farmer’s markets may be the best options locally for keeping it fresh from a culinary perspective. Some of these delicious destinations are tucked away in obscure locations, often going underappreciated. But obscure they shall no longer be! If you are pining for the healthy and freshest fruits and vegetables direct from a farmer’s hands to your table, simply follow your GPS to these incredible centers of commerce. Visiting these markets will have you walking away with a measurable sense of well-being and an arm full of nature’s bounty. When setting out, make sure your first stop is the Jacksonville Farmer’s Market, more commonly known as the Beaver Street Market. Just west of downtown Jacksonville, this market is beautiful – prepare your senses for amazement! If your previous experiences with large retailers’ shriveled up, two-for-$1.49 cucumbers have you shelving plans for recipes calling for fresh produce, you will be amazed by the lovely vendors selling the most tremendous green cucumbers you’ve ever seen. Walk from stand to stand while you sample fruits you’ve never heard of while your children happily weave through the rows of wild berries and world-class watermelons. Parking is plentiful. Restrooms are accessible. If you hit it just right, you might even come away with locally made cheeses and freshly caught fish. If you’re near the Intracoastal, wheel into the Beach Boulevard Flea Market. While this market may be far from the typical shopping experience, you can bypass the oddities upfront and enter a fresh-foodies’ paradise. Or don’t bypass the ‘oddities upfront’ and take advantage of the 2 -for-$2 deal on mixtapes or a pair of not-so-real Gucci sunglasses. Once you make your way to the produce section, you will be astonished at the worldly offerings from talented chefs and growers featuring their middle-eastern delicacies, Caribbean classics and Asian favorites. Olives, nuts, mangoes and jicama are a dime-a-dozen, literally. Prepare to bargain here. It’s exciting and encouraging! 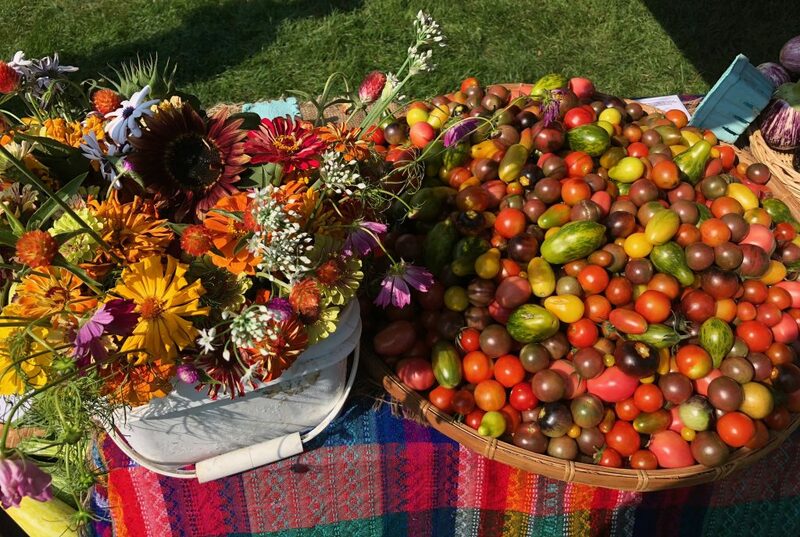 With a twist and turn in the road, you can find other local outdoor markets featuring everything from fresh eggs, baked goods, jams and spices to artisan crafts, soaps, local honey and native plants. Head to Community Center in Palm Valley, Beaches Green in Neptune Beach or the County Line Produce in Hastings for a more intimate shopping experience. 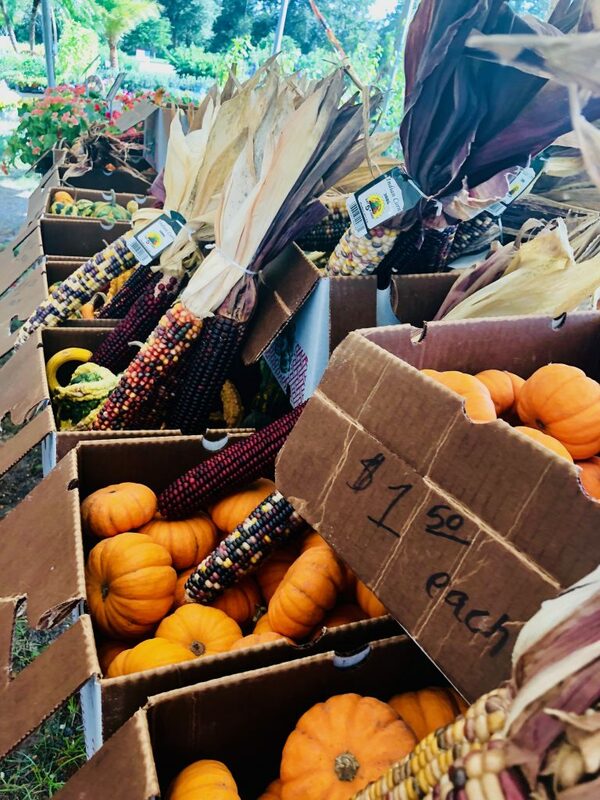 For a more eclectic vibe, discover the Nocatee Farmer’s Market in the town center, the Riverside Arts Market under the Fuller Warren Bridge and the St. Augustine Beach Farmer’s Market on the Island. You will come away with loads of green goodness and the warmth of community connection. One of the best websites to visit for a county-by-county listing of Farmer’s Markets in our area is simply put; http://www.localfarmmarkets.org/. This site features what’s in season and where to find it. Small batch heirloom tomatoes from Nassau County are harvested in late summer while ginormous squash from Clay County are available in the fall. Spring gives way to the sweetest early peas from Duval County, leaving behind robust cabbage and kale in St. Johns County. There is something for everyone when it comes to appreciating the commodities of our region. Don’t miss the joy of the U-Pick farms or the ease of the home delivery mastered by Local Fare. Whether it’s loading your very own bucket full of citrus, blueberries or strawberries, or coming home from a long day at the office to find a large sack of freshly plucked carrots, potatoes, radishes and freshly baked bread, our local resources are robust and varied for joyful consumption of nature’s finest goods and wares. Living close to water, under the sun and near to the flora and fauna of Northeast Florida undoubtedly makes our lives happier and healthier! With our access to the finest offerings from the land and hands of local farmers, it would be a shame to miss out on all the seasonal offerings they provide. Treat yourself to a glorious time at one of our many fresh markets located around the corner, off the beaten path of routine and far away from retail giants. Your pocketbook will thank you because prices are just a fraction of supermarket pricing. Your family will thank you for the incredible variety in the pantry. Your local growers will thank you for supporting their commitment to sustainable living. Finally, you’ll thank yourself for taking time to experience and appreciate the incredible bounty of southern produce which comes from the earth for our nourishment. Stop in, fill your bag, fall in love with southern cuisine from a local farmer’s market! About the Author: Anna Auchter is a senior at Ponte Vedra High School. She is the winner of the Ponte Vedra Focus blog writing scholarship for 2019.